A builder reached out to us and stated that he thought he hired a licensed electrician. When it came time for permits and a rough inspection, reality set in. The image below shows new wiring done not quite to code. Although the wiring is new, the installation leaves a lot to be desired. 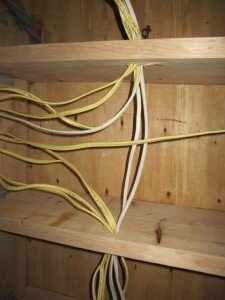 Running too many wires through an undersized bored hole can lead to overheating of wires. 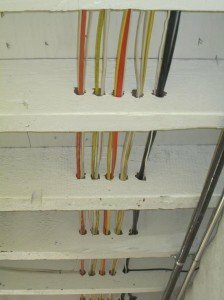 Line voltage wiring designed for lighting, receptacles, and appliances are not permitted to be run in the same bored holes as the red low voltage fire alarm wiring. Dressing up wiring including stapling and securing are violations that this installer either had no knowledge of or worse, was neglectful of. 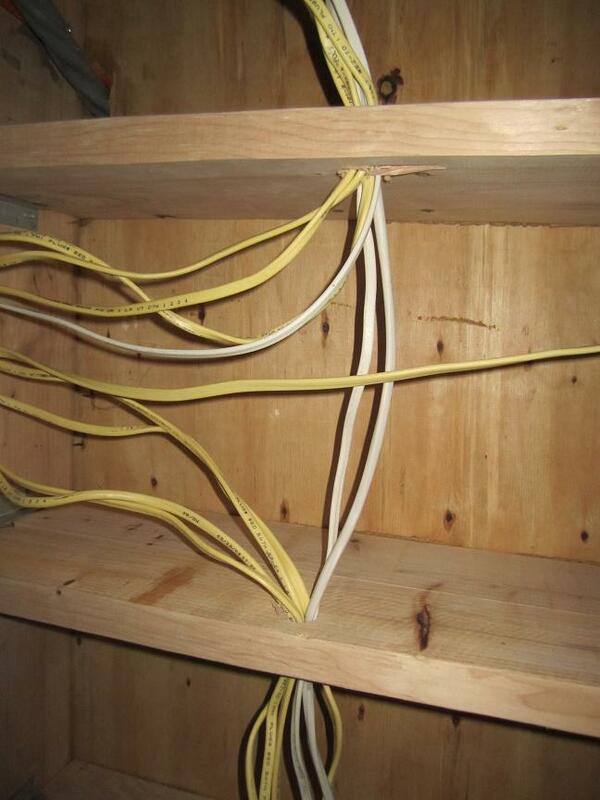 The image below shows wiring lacking strapping, stapling and professionalism. The image below shows wires neatly and properly bored and run through framing. 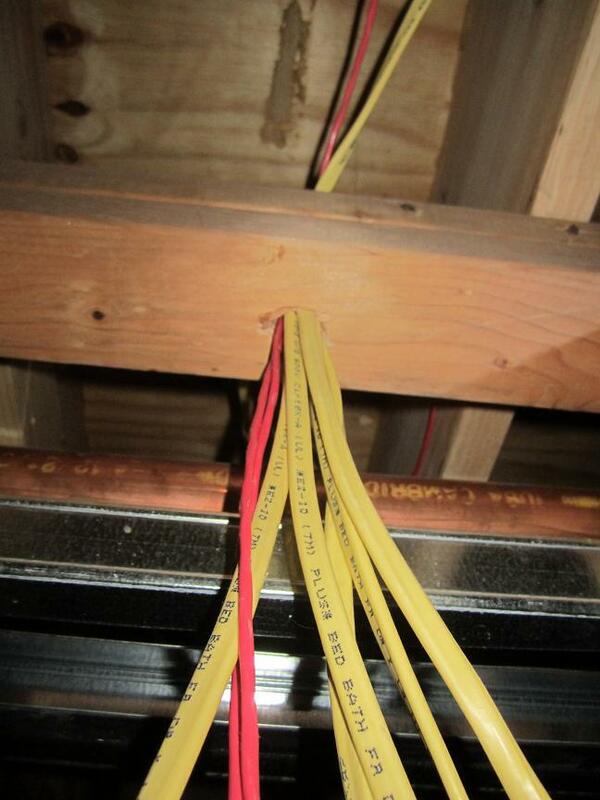 Before you hire an electrician make sure he is licensed, insured, and has a grasp of the national electrical codes. 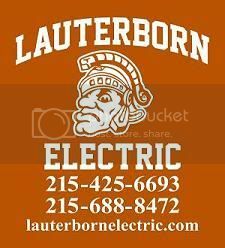 For all of your electrical needs contact your licensed electrical contractor Lauterborn electric.